Smiley Faces for my Smiley Face! 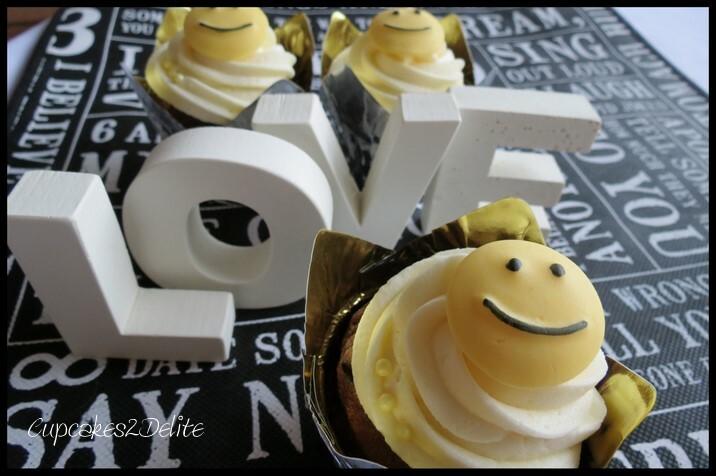 Saying I Love You with a Cupcake! My beautiful daughter turned 14 today and I thought it would be cool to have cupcakes to take to school to celebrate with her friends. They had to be as fun and zany as she is and nothing could be more appropriate than a smiley face for her as she is gregarious, fun-loving and always has a smiley face for all her friends. 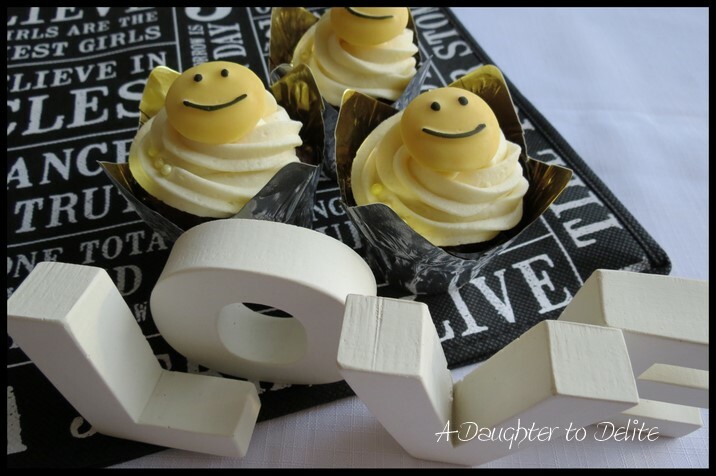 I made these smiley faces using a chocolate mold and yellow sugar paste. I drew on the eyes and crazy smile with a black edible pen and added the faces to yummy chocolate and vanilla iced cupcakes. We Love You Smiley Face! Happy Birthday my darling and I love you more than words…or cupcakes could possibly express just because you a are gorgeous and delightful daughter! ← Cupcakes for a Golfing Enthusiast! Oh no!! Did I miss Ceire’s birthday. So sorry … belated best wishes to a lovely girl! !